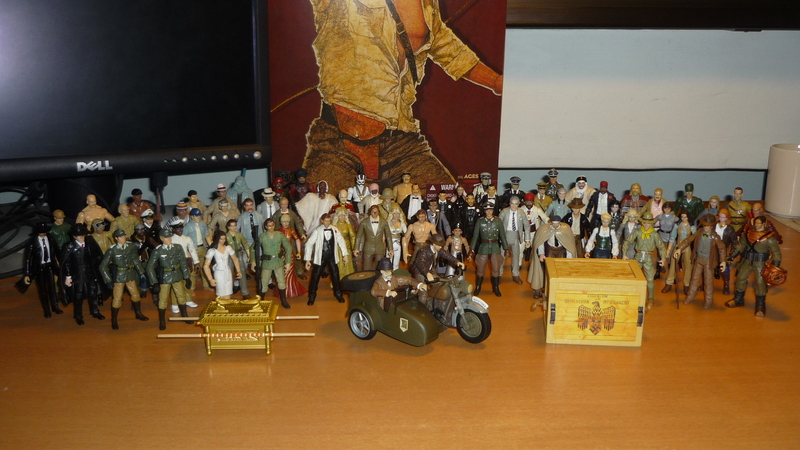 Here is a list of my custom Indiana Jones figures and items. #1 – Indy in German soldier disguise – revisited! #2 – Marion in white dress – revisited! #4 – Satipo – revisited! #17 – Simon Katanga – revisited! #19 – Jock Lindsey – revisited! #25 – Tuxedo Indy – revisited! #49 – Marcus Brody – revisited! #56 – Adolf Hitler – revisited! #79 – Major Nadia Kirov – revisited! #80 – Alex Beresford-Hope – revisited! N.B. Why “Raiders of the Lost Ark”, and not “Indiana Jones and the Raiders of the Lost Ark” ? Simple reason, the first movie was released under the title “Raiders of the Lost Ark”, with that title in all its publicity. The tag “Indiana Jones and the…” was only added in the titles of the subsequent movies, and it was for the VHS and DVD releases that the first movie was retitled to “Indiana Jones and the Raiders of the Lost Ark” on the packaging to better correlate with the other Indy movies. The title in the movie itself remains unchanged. 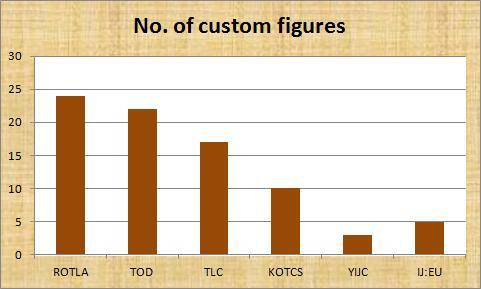 Statistics for my custom Indiana Jones figures. 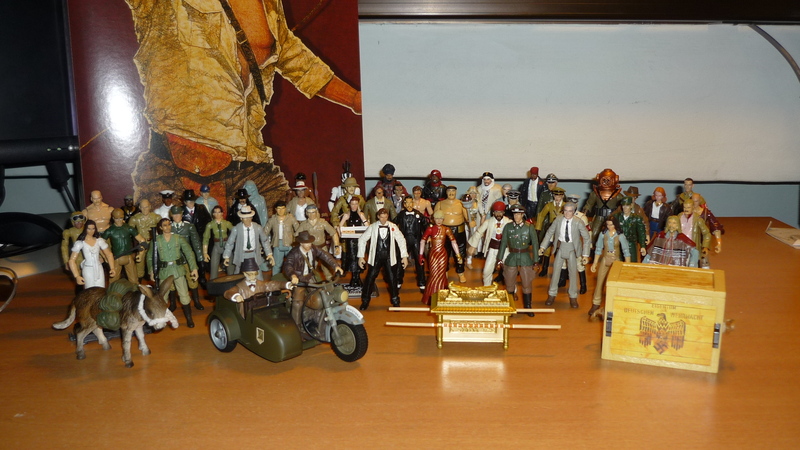 This is a previous group photo of my customs, taken at the time of the 50th showcase.